Variety of Fashionable Handbags made for wide range of styling. FASHION BRIDGE is a branch of Itbag,inc. which is located in downtown Los Angeles in the Fashion District, and we are providing distinctive service in terms of product mix for wholesale and retail business customers. We have professional ability to provide quality fashion products that meets demand of prospective customers and appeals to the most discriminating buyers. We have served our customers faithfully for many years, and our goal is to keep you satisfy every dimension of requests. Over the years, we have developed a significant base of highly satisfied customers and we are committed to continuing this movement. We continually raise our performance to exceed customer demands and expectations. 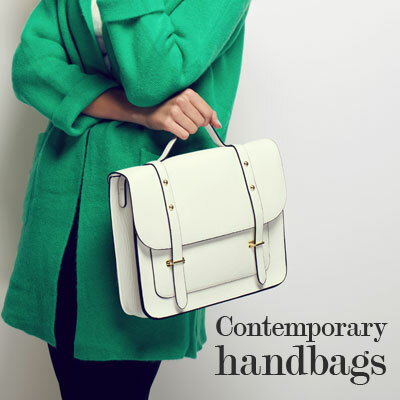 We strive to be the best handbag company so that FASHION BRIDGE has added the Online Sales Division. FASHION BRIDGE will continue serving on-line customers with the utmost integrity and commitment to customer satisfaction.